If you are still holding on to an older iPhone model – one running iOS version 3.1.3 or earlier, in particular, you may have noticed that something with your smartphone is not quite as it should be. We are talking about the inability to access the App Store directly from the device, which is an issue that has already spawned a long thread on the Apple Support Communities board. The problem arose right after a software update was pushed out on December 16. Strangely, app updates seem to work fine, according to a number of user reports, yet downloading new ones is possible only after connecting the smartphone to a computer with iTunes. Apple has yet to comment on the issue, so it is still unclear whether the company has decided to drop support for older iPhones, or is simply having technical difficulties of some kind. In the meantime, check with Apple support if you are having similar troubles, and do not hesitate telling us about your experience in the comment section below. I bet it's the former... Another dirty trick to force anyone with an iPhone 2G to upgrade. It might not be true due to the fact that Apple is just slapping version numbers onto their devices without actually receiving the full benefits of that version. hunter, where is taco ? you killed him ? How old is your iphone 2G? That's Apples was of making more money from apples fan people. 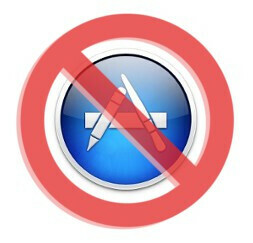 Its time for apple people to upgrade!!!! lol that is why i love google!! And when was the last time your T-Mobile G1 ever recieved any support. wow.. those are harsh words... man... i know I am at least smarter than Patrick StarFish... I dont know about a taco... what kind of taco is it?.. May be Tmobile G-1 didn't received latest updates from google, but atleast Marketplace is working fine on it and users can upgrade to custom ROM's......... Is there anything like custom ios 4.0/4.1/4.3/5.0 ROM's for first nd second genration idevices.......??? Can you run those fancy Tegra games on your G1? yes, they would be horribly slow, but you can, using chainfire 3D, canu run infinity blade on iphone 2G? no. iTunes, the most annoying program I've ever used is still there for them to download apps from. Apple commented on this subject: "Update to a new iphone and you wouldn't have this issue." first they rolled out a software update that bricked up the old phones. then just for those who still didnt upgrade (like my gf) they did this as an added measure. way to go apple. sneaky little angel of a company you... a devil in sheeps clothing. Interesting.... original Iphone need to updgrade. I think if your iPhone is still running 3.1.3 you need a new phone.